One of the best wedding shower gifts doug and I received was a set of 12 red heart ornaments. we still use them. Along with the paper doily doves we made for our first tree--they are a bit raggedy now, but have such good memories that I still hang them every year (23 years later!). Christmas ornaments are so fun! 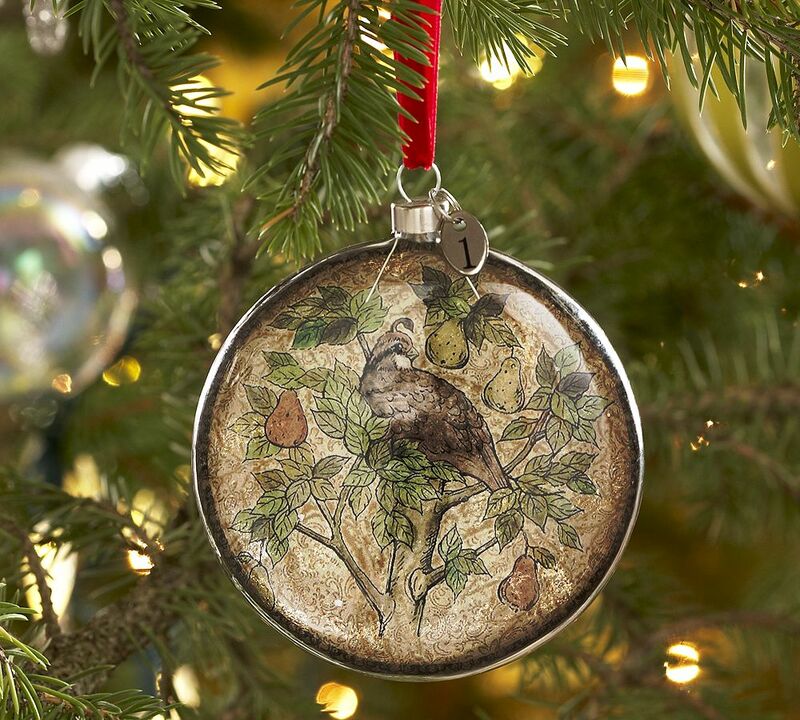 I love that you still have your first ornaments. 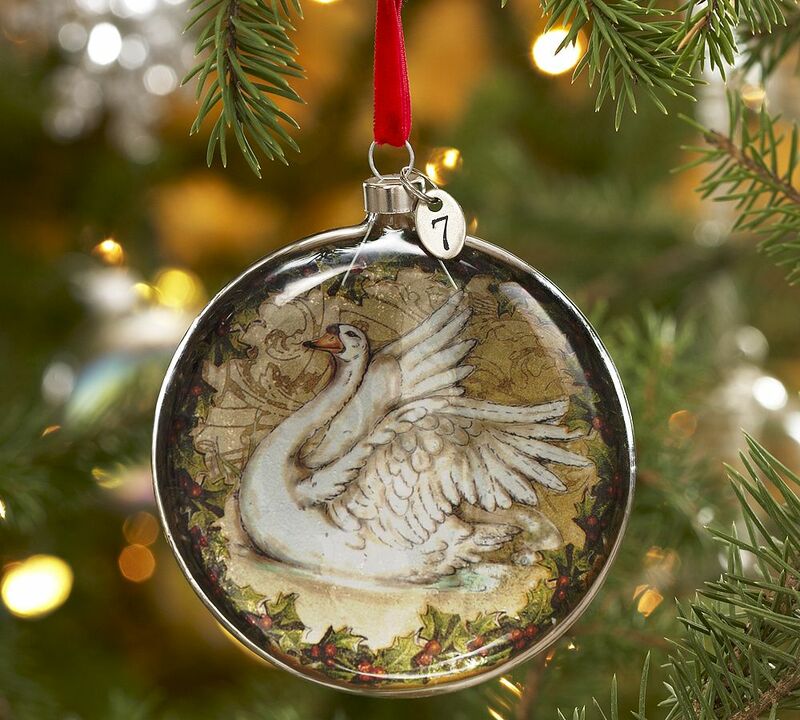 Our tree is missing these beautiful 12 days of Christmas ornaments, but it's still beautiful. 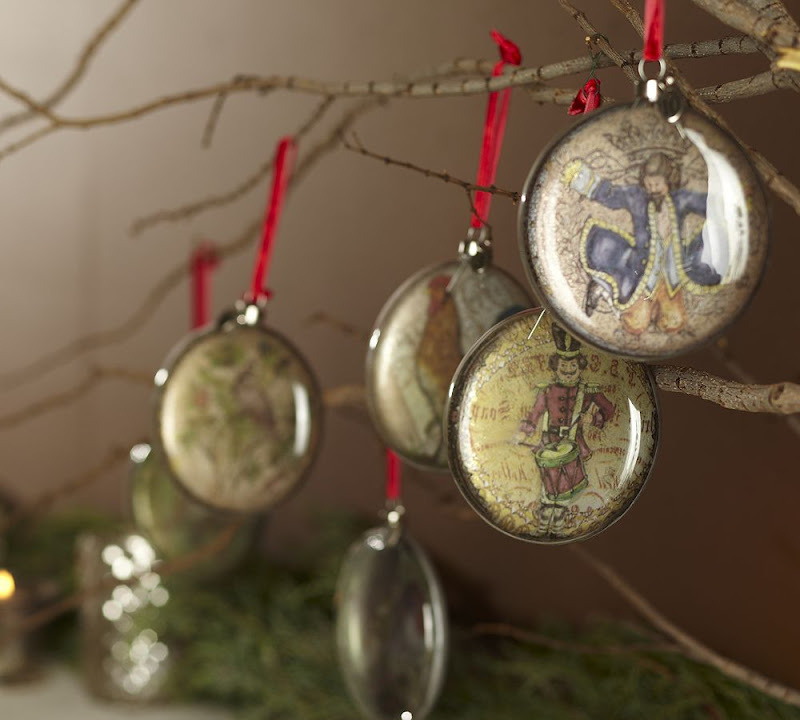 With even some home-made ornaments. I'll take pictures and post soon. Just spray painted some pinecones gold and hung them on the tree. they look really cool! Hi. 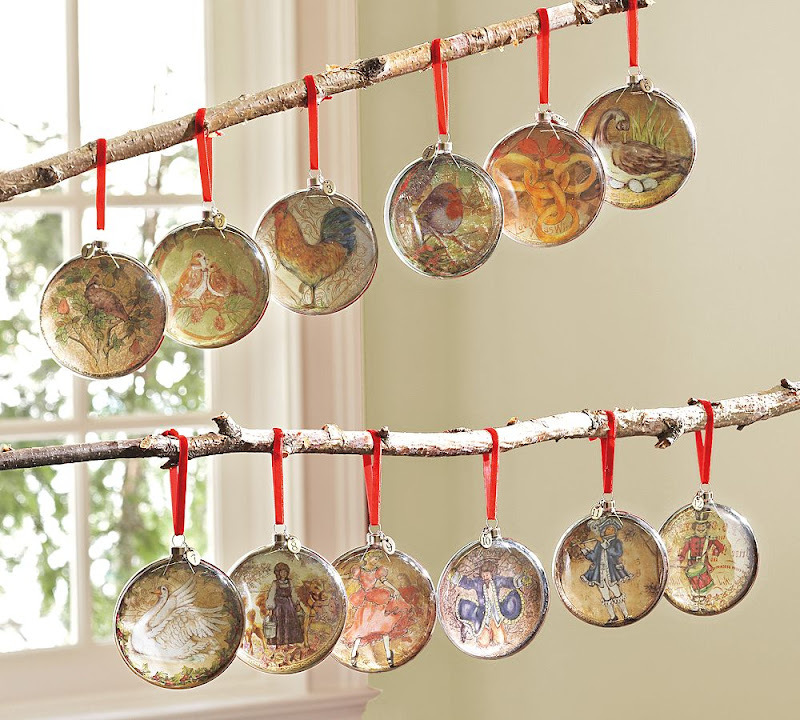 I know this is a long shot but do you still have the pottery barn 12 days of christmas ornaments?